INDUSTRY.co.id - Jakarta- PT Bank Tabungan Negara (Persero) Tbk has committed to support housing finance for Lion Air Group employees. At least 2,000 more houses will be built by Lion Air Group for its employees in Lebak, Banten. Bank BTN expressed its readiness to provide financing support for the construction of the house which will be built by PT Bintang Energi Lestari (BEL). This financing support is part of the one million home program. "We are ready to provide housing finance support for Lion Air Group employees. This is part of the corporate commitment to support the one million house program initiated by the Jokowi-JK government, "said Maryono, President Director of Bank BTN, after the signing of an MOU between BTN, Lion Air Group and PT BEL in Jakarta on Thursday (8/3) . In the MOU signed between Bank BTN, Lion Air Group and PT BEL is agreed Bank BTN will provide banking services support to the Lion Air Group and PT BEL. 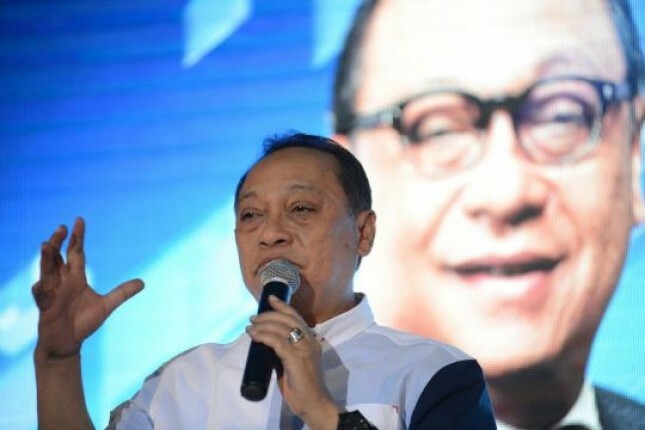 "More support will be directed towards financing the construction of houses that will be utilized by the Lion Air Group which is intended for employees under Lion Air Group. This is a cooperative umbrella that we all agree on to be followed up in a follow-up cooperation to make it happen. The Company is certainly ready to provide support for the project including support in other cooperation with Lion Air Group which we can later develop together, "explained Maryono. The planned residence will be built as a company facility for Lion Air Group employees with BTN financing through a financing scheme using subsidized and non-subsidized schemes. Edward Sirait, President Director of Lion Air Group said, "Lion Air Group is very happy to synergize with Bank BTN in supporting the appreciation program to employees through the financing mechanism provided. Bank BTN is a leading and reliable banking sector in facilitating housing and financial services by prioritizing accountability and mutual benefit. Lion Air Group is optimistic, BTN Bank's active contribution is very helpful and support the housing sector of our employees. " "Lion Air Group is fully committed to facilitating employees in owning affordable homes, offering financing schemes with upgrades and installments tailored to workers' capabilities. This is a form of corporate initiation in line with government programs and Bank BTN as the main integrator of the One Million House Program, "added Edward. Furthermore, Edward, "Commitment of Lion Air Group will be a group company based on air and non-aviation travel services. In line with the earnestness, we really appreciate the cooperation and hard work of the employees. Therefore, Lion Air Group will improve employee welfare by supporting residential sector financing at Bintang Maja Lestari Housing through the facilities of Bank BTN and the developer of Bintang Energi Lestari. " Ishak, Director of PT Bintang Energi Lestari said, "The property trend in Banten starts from the increasing need for comfortable and affordable dwelling. In the long run, the trend is moving on the needs of educational institutions and commercial areas such as store houses to office buildings. In addition, with soaring land prices in Jakarta and Tangerang Raya. Creating a supporting area such as Lebak district adjacent to Tangerang becomes a very potential area for Housing Development. Where Tangerang itself is adjacent to its location with Jakarta commercial area. " PT. Bintang Energi Lestari (PT BEL) as the developer plans to build residential areas with various types of houses ranging from home type 22/60, 36/72 to two-story commercial building houses. Residential area to be built by PT. BEL is given the name of Bintang Maja Lestari Housing. The Mega Sustainable Housing Development Project will be carried out in stages. For the first phase will be built as many as 4,000 housing units and in the next 2 years will be built as many as 15,000 housing units. The property sector has a very large multiplier effect. Bank BTN also took part in supporting the growth of property sector both in terms of supply and demand through banking products and services owned by Bank BTN. Throughout the year 2017, Bank BTN has produced a very good performance in which Assets grew 22.04% (y.o.y) to Rp.261, 36 Trillion. Credit and financing in the same period grew 21.01% to Rp. 198.99 Trillion. Bank BTN continues to commit to support the program of one million homes. In 2017, Bank BTN has succeeded in providing credit and financing for 667,312 residential units from the target of 666,000 residential units with nominal Rp. 71.54 Trillion. Maryono affirms BTN's commitment in 2018 will still support the One House program where we target credit distribution and financing for 750,000 residential units, he added.